Phil Johnson has been the Parish Business Manager at St. Thomas since April 2010. 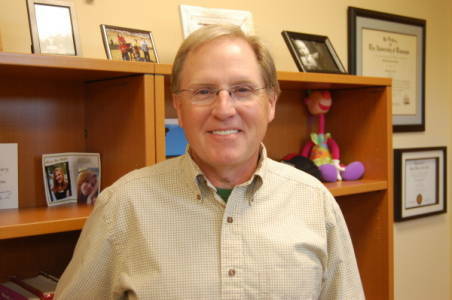 He oversees our campus and facilities, and works closely with the Pastor and staff in planning and operations. Phil has served in leadership positions with several organizations, including 17 years as Chief Administrative Officer for a major cancer center. He has directed strategic planning efforts for numerous organizations, both large and small, and has served as a business consultant. Phil provides overall leadership and daily supervision of staff, financial, and operational aspects of the parish. He works in cooperation with, and under the direction of our pastor, allowing the St. Thomas clergy more time to devote to their ministry. Phil and his wife, Barbara, have four sons and seven grandchildren. Phil is an active member of Cedar Springs Presbyterian Church. Phil enjoys Woodworking, fishing, reading in his spare time.